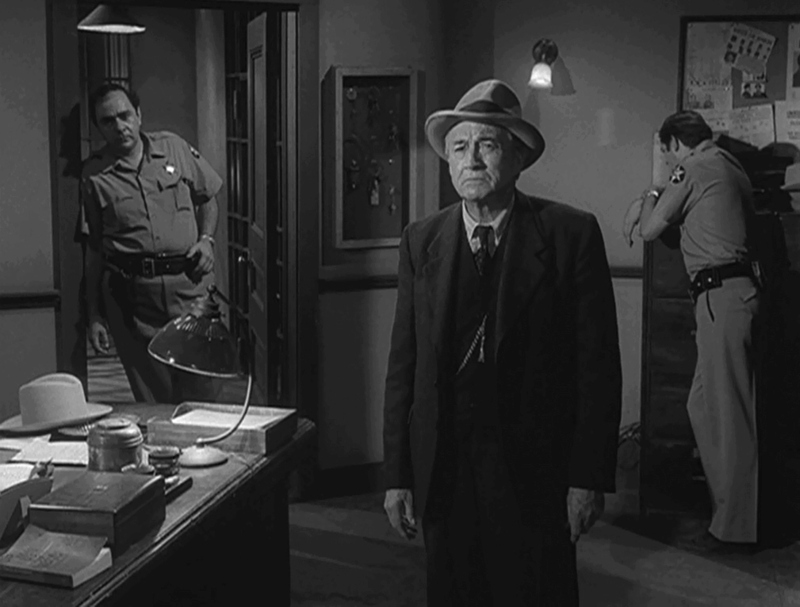 With its twist endings and ironic turns of fate, even the most die-hard Twilight Zone fan might have trouble believing there’s much to give thanks for in the fifth dimension. But it turns out there are reasons to be grateful even in that elusive “middle ground between light and shadow”. 10) You finally got that new bomb shelter built — just in time to show the neighbors! 9) Global Airlines is offering half-off fares to the Jurassic era. 8) All that canned turkey you found? The old man in the cave says it’s safe to eat! 7) Maya the Cat Girl has a new roller coaster she can’t wait to show you. November 22,1963 was just an ordinary Friday. For a while, anyway. 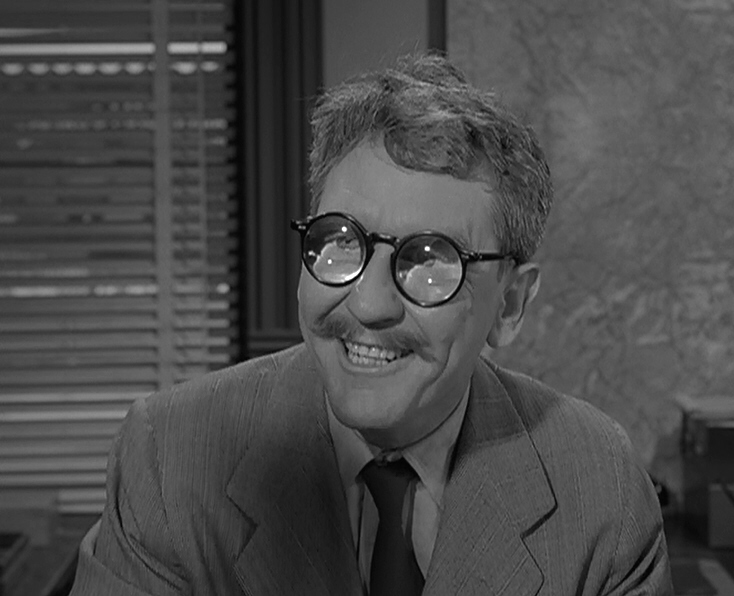 The Twilight Zone aired on Fridays during four of its five seasons. 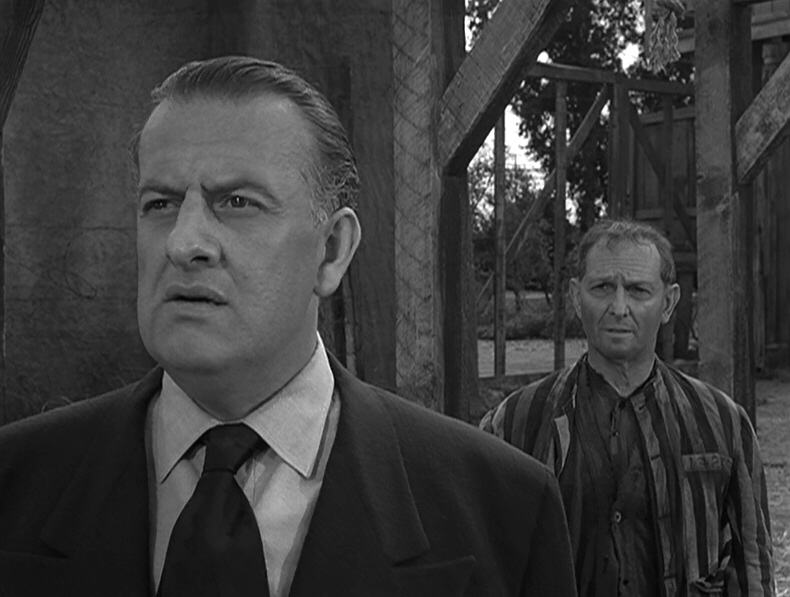 And on November 22, 1963, Richard Matheson’s “Night Call” was set to air. But when an assassin’s bullet cut down President John F. Kennedy earlier that day, every network immediately shifted to continuous coverage of the tragic news. Planning to give the gift of imagination this Christmas? 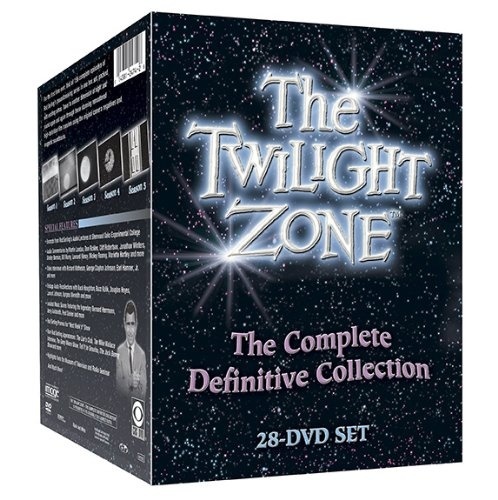 For the fifth-dimension fans in your life, The Twilight Zone on DVD is hard to top. But if you like extras on your discs, it will soon be hard to get. That’s because Image Entertainment will stop offering their “Definitive Collection” DVDs on Dec. 1. Soon only independent vendors on Amazon, eBay and other websites will carry them.